Valentine’s Day is, for most people, a day to celebrate the loved ones in their life. But where did Valentine’s Day originate and how did we come to celebrate a particular day in honor of our loved ones? And who is St. Valentine anyway? Just like at Christmas, people exchange cards and gifts in celebration of this day but in some places around the world, they do not. India is one such place where there are those who do while others do not. According to some “Indians,” it is not part of their culture. There are a few variations or stories of how this day came to be. First of all, Valentine’s Day is the “Feast of Saint Valentine.” There are at least three different saints recognized by the Catholic Church named Valentine (or Valentinus). All three of them were martyred. According to legend, one of these Saint Valentines was a priest in Rome at the time of Emperor Claudius II. The emperor determined that it was not feasible for single men to marry because they were less effective as soldiers if they had families. For this reason, the emperor decided to outlaw marriage. Because Saint Valentine felt it unfair and unjust, he went against the emperor’s decree and continued to perform marriages in secrecy. Before long, his secret was out and Claudius had him put to death. 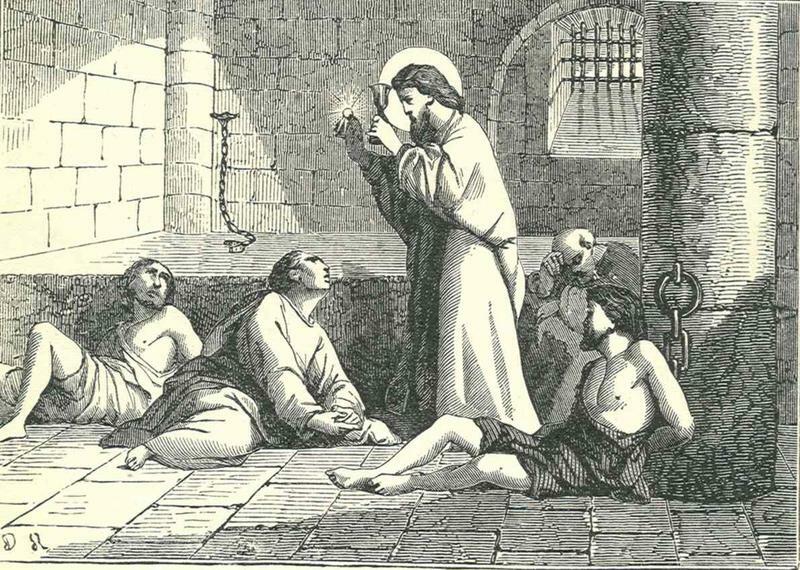 Variations to the legend say that Saint Valentine may have been killed for a different reason, which was to aid Christians in escaping the Roman prison cells where many were tortured. Yet another variation of the legend indicates that Saint Valentine, while in prison himself, fell in love with a girl who was probably the jailor’s daughter who made visits to him while he was imprisoned. It is suggested that he actually sent the first Valentine’s Day message to her before his death and signed it “From your Valentine.” Regardless of which legend is completely true, he was evidently a hero and per his reputation, he became very popular in England and France. 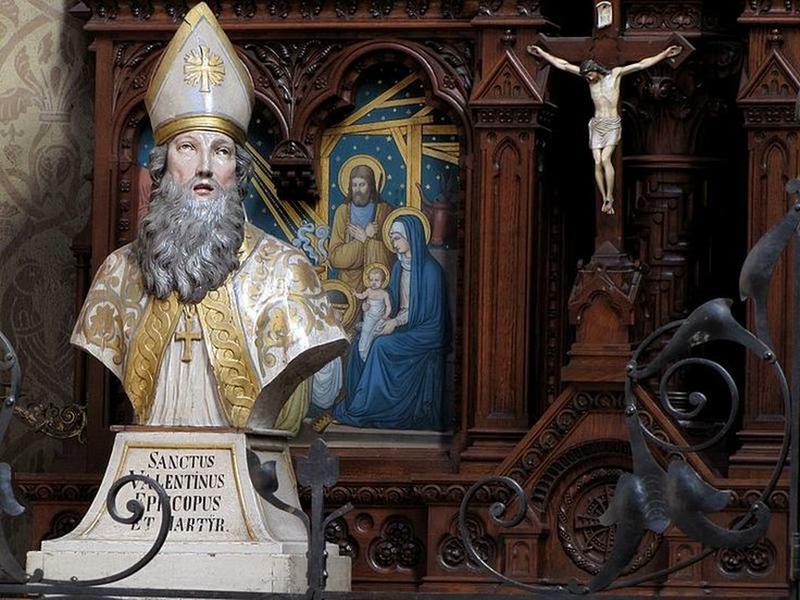 Why Valentine’s Day is celebrated in the middle of February could be, as some believe, to coincide with the anniversary of St. Valentine’s death. There are others who believe that it was purposely placed by the Christian church in the middle of February to “Christianize” a pagan celebration – namely, Lupercalia. 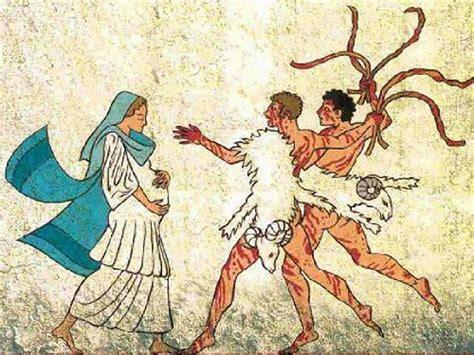 This pagan celebration was celebrated on February 15 (the ides of February) and was a fertility festival which was in honor of Faunus, the Roman god of agriculture and also in honor of Romulus and Remus, the Roman founders. This festival consisted of a gathering of Roman priests around a sacred cave where it was believed the founders of Rome were cared for by the she-wolves. The priests would then sacrifice a goat and a dog. The goat represented fertility and the dog represented purification. With strips of the goat’s hide dipped in blood, they would go out to the streets and slap women and crops. Rather than being afraid, the women believed this ritual would make them more fertile. 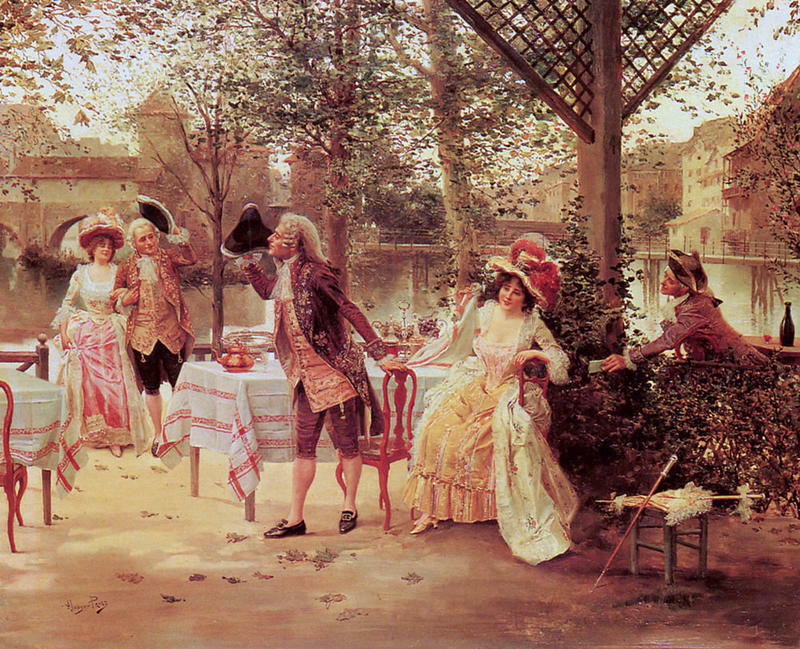 Then later, the women would be paired up with bachelors in the city and often married. By the end of the 5th century, the celebration of Lupercalia was outlawed and considered “un-Christian.” Pope Gelasius determined February 14 to be St. Valentine’s Day and eventually was connected to a celebration of love. A Valentine poem that was written by Charles, Duke of Orleans in 1415 is still used today. It was a poem written to his wife after his capture and imprisonment in the Tower of London. This poem is part of a collection of manuscripts stored in the British Library in London. It became a tradition through the years to compose or purchase love notes to share with loved ones. This tradition started as far back as the 18th century with Valentine’s Day celebrations beginning as early as the 17th century in Great Britain. Countries that traditionally celebrate this special day include the United States, Canada, Mexico, the UK, France, and Australia. By 1900, as printing technology emerged, the printed versions of these “love notes” were produced. 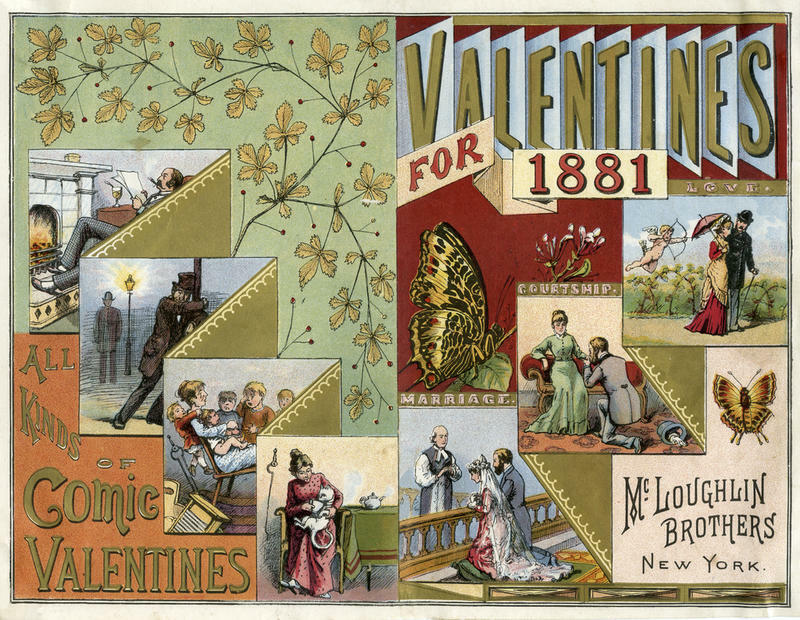 The first valentines that were produced in mass-production in America were sold by Esther A. Howland in the 1840s. Today, St. Valentine’s Day is celebrated in many ways, through giving gifts such as flowers, candy (especially chocolate candy), and cards to that special sweetheart. Sweethearts are not the only ones receiving gifts. Children exchange valentines in school as well as candy.